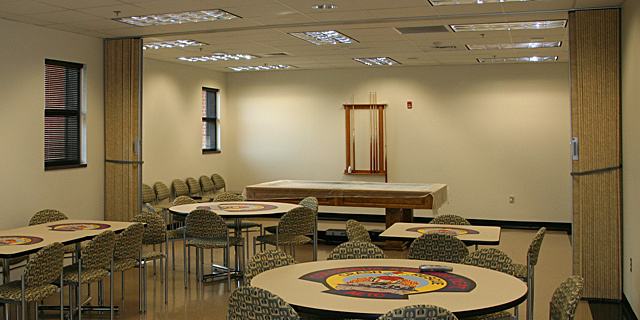 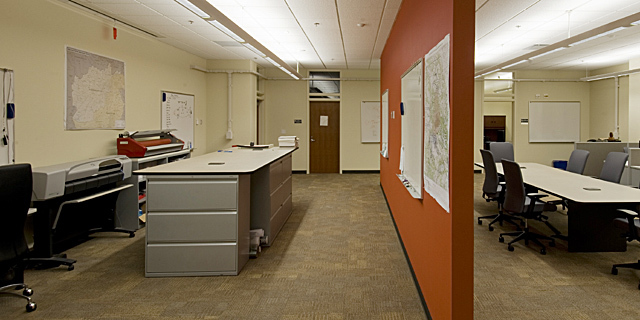 Minimize the need for interior partitions through open plan layouts. 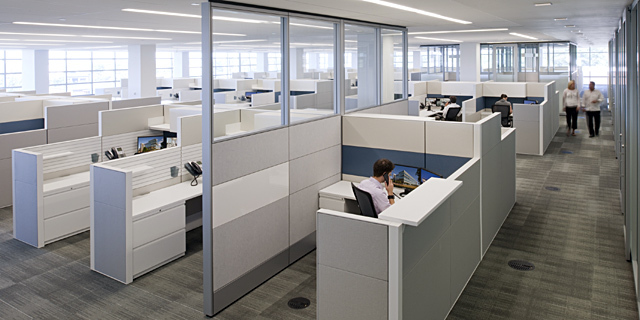 Consolidate permanent spaces to the greatest extent integrating storage, equipment, restrooms, stairs and other core spaces along permanent partitions. 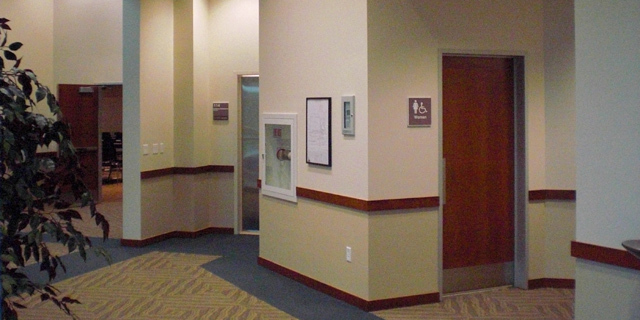 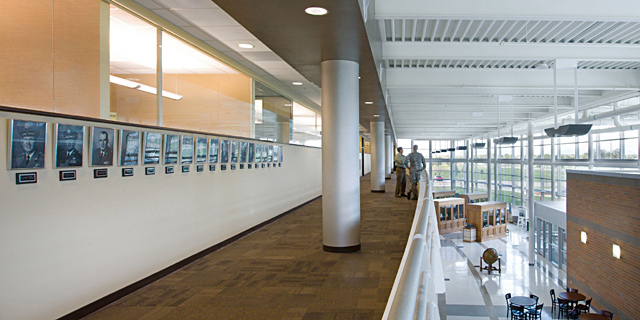 Minimize corridor walls in administrative facilities; open circulation spaces are preferred. 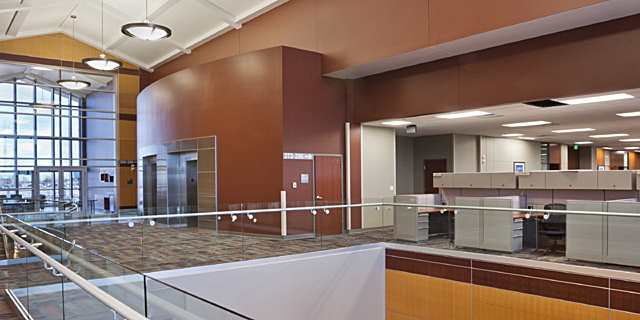 Design and configure functionally required interior partitions to preserve a building’s passive heating, cooling, and daylighting systems. 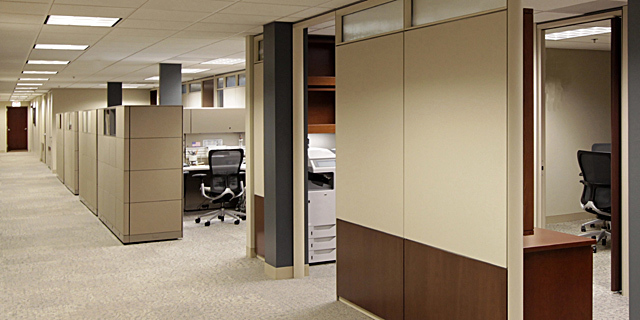 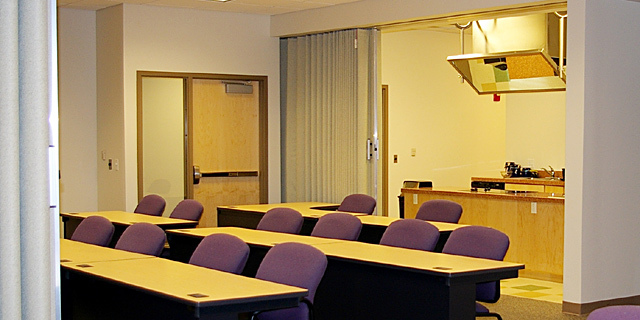 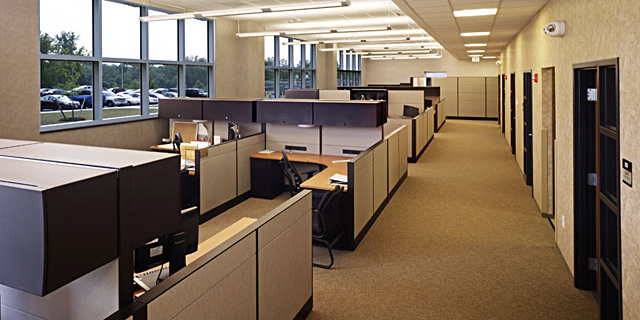 Use demountable partitions and systems furniture to define administrative spaces.